On these pages, the horoscopes of 55,648 celebrities of the website Astrotheme are classified by different astrological criteria of distributions and dominant planets. Eleven criteria are analyzed in these pages: the planets, the elements, the modes, the polarities, the accentuated houses, the esoteric decans, the zodiacal signs, the astrological houses, the North/South hemispheres, the Est/West hemispheres, and the quadrants. The lists are sorted by descending order for the criterion considered. You will find some explanations about our method for these Dominants. 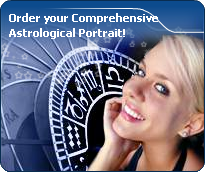 For each list of these celebrities, it is possible to get access to the horoscopes, charts, excerpts of astrological portraits by clicking on the names, to the diagrams of dominant by clicking on the pictures, and to the photos by clicking on the names - you need to have an account to see all the photos. Celebrities clicked on in real-time: 577,135,405 times.